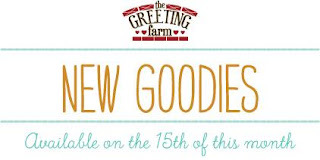 It's February 1st and that means a brand new Farm Fresh Challenge is underway at The Greeting Farm! 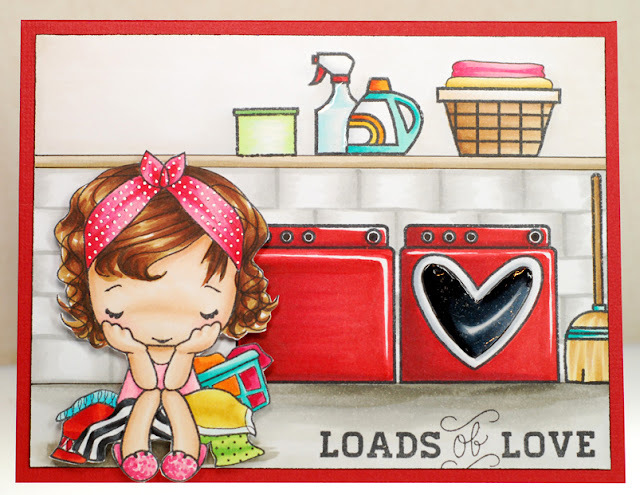 As you know a new challenge is issued at the beginning of every month over on the TGF blog and this time we want to see you add 'A Touch of Red' to your creations. 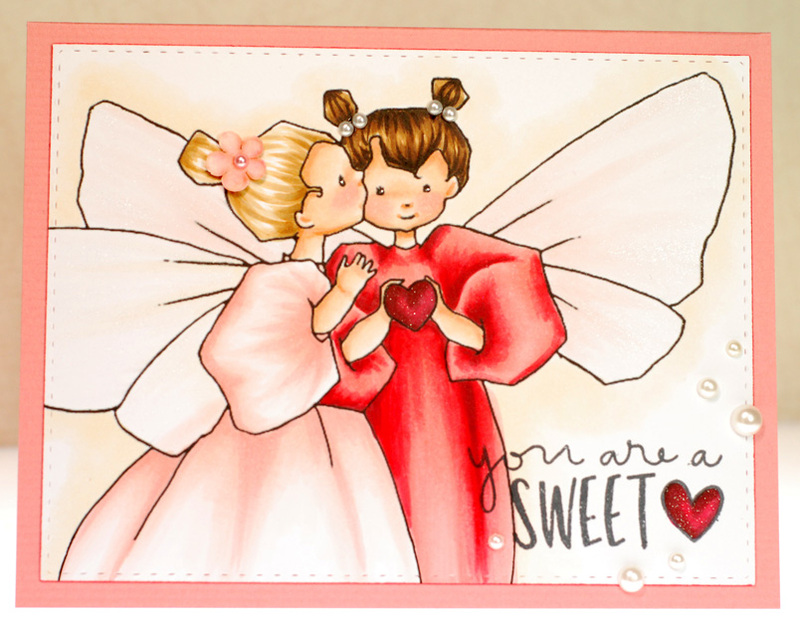 February is the month of love so why not ink up your most loved TGF stamp and play along for a chance to win a $50 gift certificate? Better yet, treat yourself to a new digi that you've fallen in love with from the store and get creative! 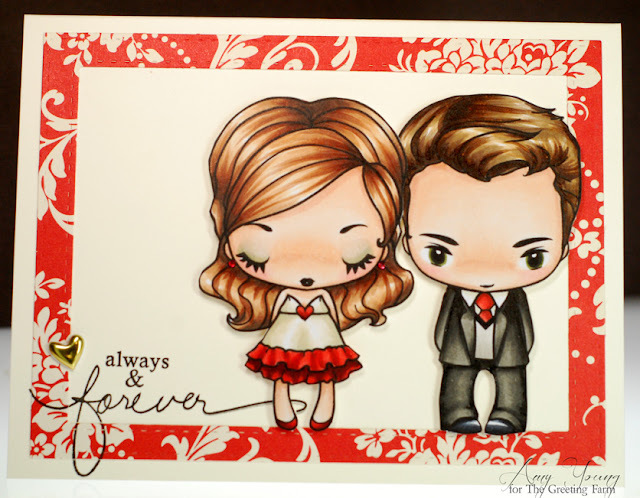 For my Touch of Red card I printed out two Wild Sprout digis, Dressy Joyce and Dressy Daniel, to make a lovey couple. If you ask me they look like they are dressed to the nines for a romantic Valentine's dinner date. 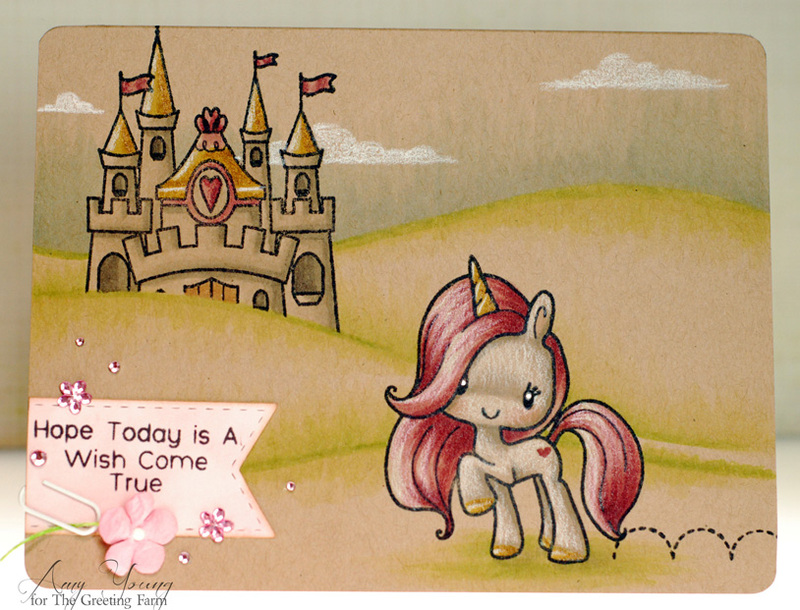 I kept the card design clean and simple with just the frame of pretty red paper around the edge. And the touches of red in Joyce and Daniel's outfits were colored to match. I'm heading off to spend the day coloring with a friend so I'm one happy chica this morning. Sure, the forecast is predicting a rain/snow mix but through the power of positive thinking I'm hoping that it is just rain for my drive. Well, I'm outta here. Have a great weekend everybody! Okey dokey, time to scoot. Have a good one everybody! Thanks for stopping by today, see ya manana! Alrighty, have a good one everybody! Ok, time for me to get ready for work. I'm really hoping that I can make it out of the driveway later this morning because the snow and rain has turned it into a sloppy mess. Sigh... have I mentioned how done I am with all this snow already? LOL, yea I'm a bit of a whiner today. I'm really keeping my fingers crossed that the ten day forecast was right when it predicted partly sunny skies today. Well my friends, thanks for stopping by today! 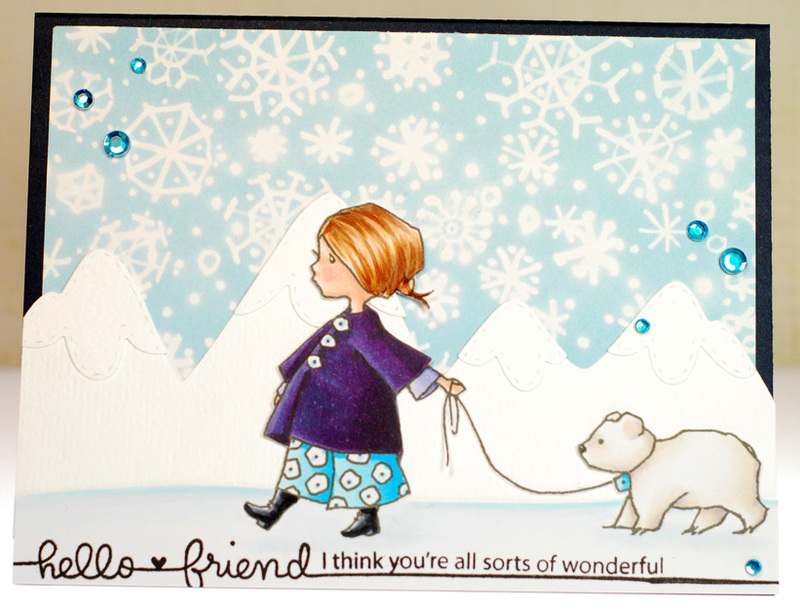 It looks like I'm right back to more winter inspired cards today but I really wanted to participate in this week's Bellariffic Challenge. 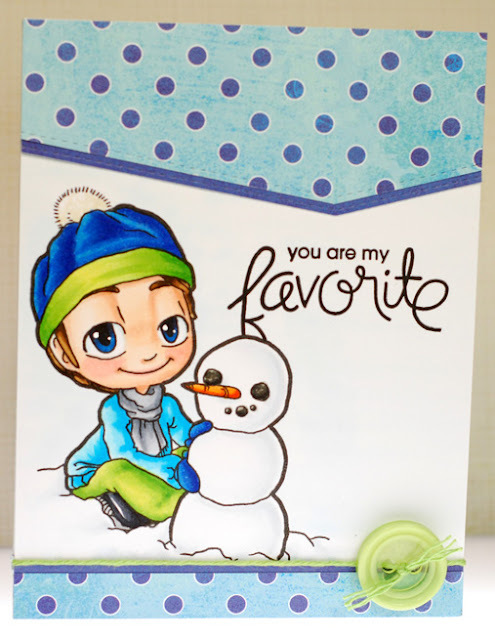 It is a color combo themed challenge of dark teal, aqua, red, grey and white which seemed totally wintery to me. 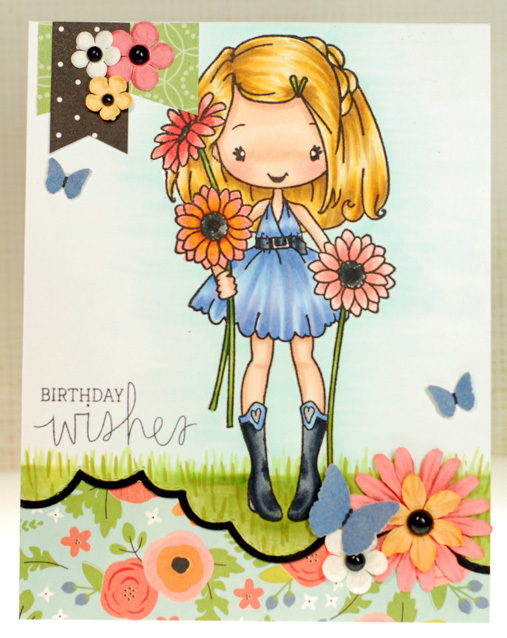 Plus it gave me a chance to stamp the gorgeous Uptown Girl Quinn and her Boots and get her on a card before the seasons really change. With a bit of fussy cutting I was able to give Quinn a cool winter woodland background to set the scene using an old favorite paper from Echo Park. 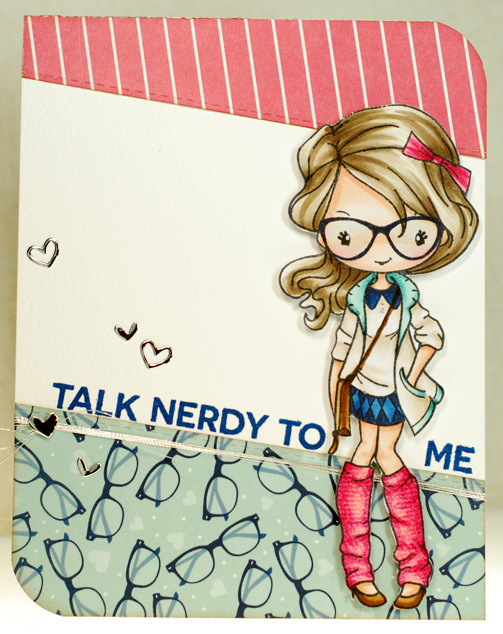 Then all I had to do was cut a couple die cuts in red for a bit of pop and this card was done. And have I mentioned how nice it is that the Bellariffic challenges now use an inlinkz so I don't have to wait for Fridays to post my Stamping Bella cards? Yea, it's the little things that make my day, LOL! Ok time for me to scoot. Alrighty friends, hope your week is off to a great start. Happy Friday everyone! 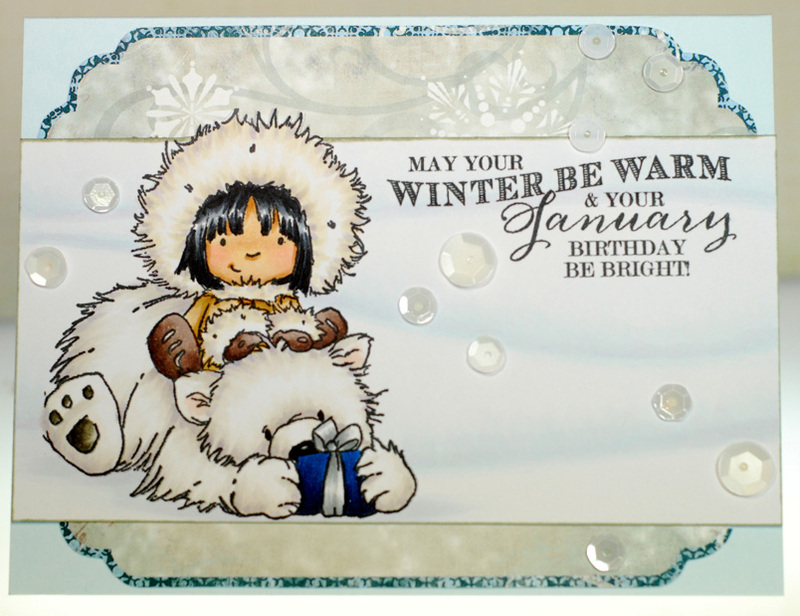 It’s finally here...RELEASE DAY for our new JANUARY stamps!! 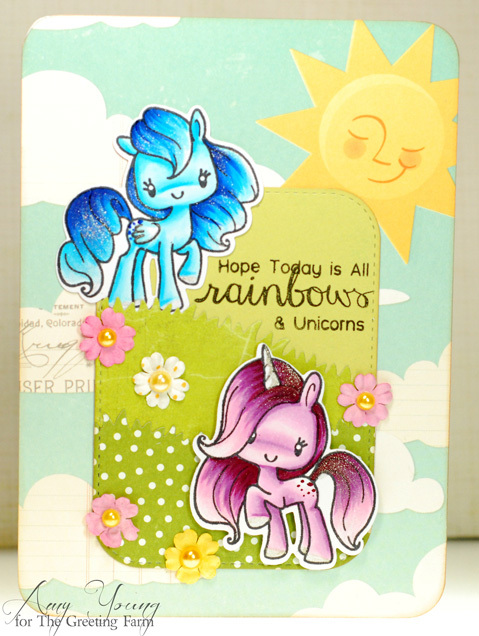 We've had previews of these awesome stamps the last few days, and NOW they are available in The Greeting Farm Store. Since it’s Release Day we are having a BLOG HOP, where 1 lucky person will win this entire release! Be sure to leave a comment on each of the designer’s blog and then head back to the TGF Blog to let us know you completed the hop. You have until Monday, January 18th at 12pm CST to leave your comments below. We will announce our random winner by the end of next week! We’ll have more inspiration in the upcoming week using these awesome new stamps! Don’t forget you have until Monday, January 18th, 12pm CST to leave your comments. 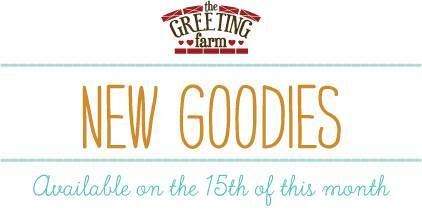 Well here we are at the third and final day of January previews for The Greeting Farm. It's not too early for a bit of Easter sweetness is it? I'm sure that the new Eggstra Special clear set will have you anxiously awaiting all things spring. 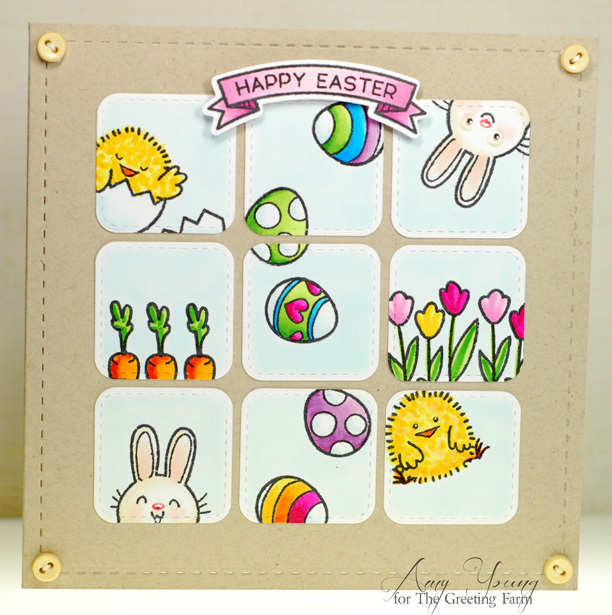 This set has everything... cute bunnies, fluffy chicks, colorful eggs, carrots, tulips, jellybeans, the whole shebang! 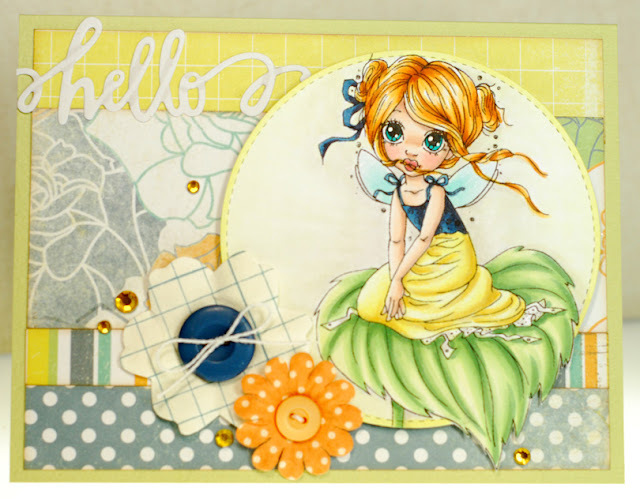 There are so many great little images that I wanted to use as many as I could on my card. A great way to do that was by giving each image its own small panel to fill. Then I just glued them down in a grid and decided to even keep the card square as well. Are you ready for day two of the January Greeting Farm release previews? Today we are welcoming a new Dollie to the Farm and she is positively lovely. Say hello to Dollie with Letter who is here just in time for all our Valentine card making. This little sweetheart has just received a letter that tugs on her heart strings, you can see the emotion in her big, beautiful eyes. And I gotta tell you, that hair of hers is just a dream to color. OK, I've got to get myself ready to go. Have a great weekend and I'll see you back here on Monday with some super fun TGF previews! Today is my first day posting over on the TGF blog and I'm excited to be sharing eight different hair color combos for blonde hair using six Copic markers. The idea is being called Anya's Salon and Marie has even added a brand new Blonde Anya digi to the store just for the occasion, how cool is that?! So if you would like to see what Anya's Salon is all about head on over to The Greeting Farm blog today and check it out. 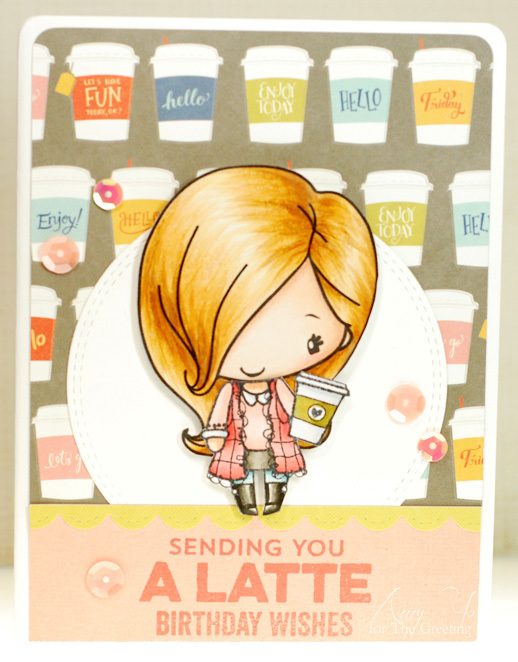 For my card I colored up Blonde Anya with the Toffee Nut combo but I also wanted to give her a body. So I grabbed Latte Anya and did a super simple head swap. Now Blondie is sipping her favorite latte just trying to keep warm during these cold winter days all while still looking oh so stylish, LOL! Alrighty, time for me to get busy.